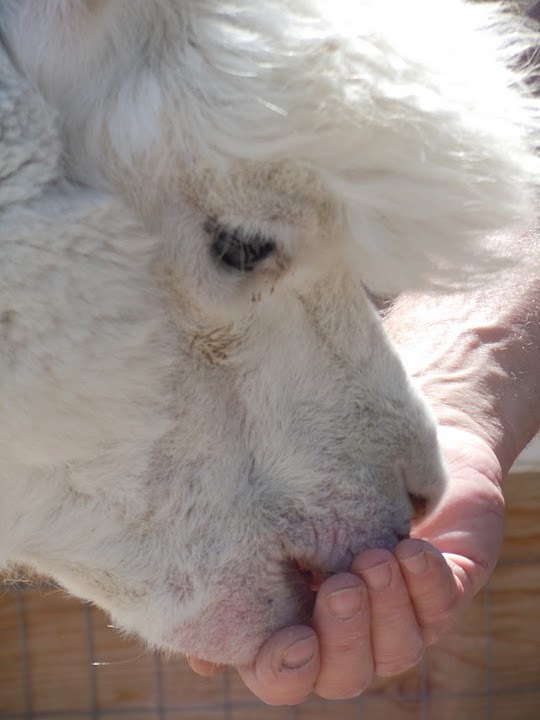 Dad has had a project recently, trying to teach the alpacas to eat their crumbles (a pellet treat) from his hands. Alpacas as a general rule don’t really approve of interactions with people, so it’s actually quite a difficult endeavor. But delicious crumbles and near-constant contact with Dad seem to have worked magic. Mo dives in for goodies. Tuscany was the first of the boys to really trust dad enough to give it a try. Morocco wanted to, but just wasn’t quite sure…until now. And Merlin, well, once Merlin can be bothered to try something, there’s little doubt he’s actually going to do it. Look at the wizened face on Merlin. He’s very much the funny old man of our herd. 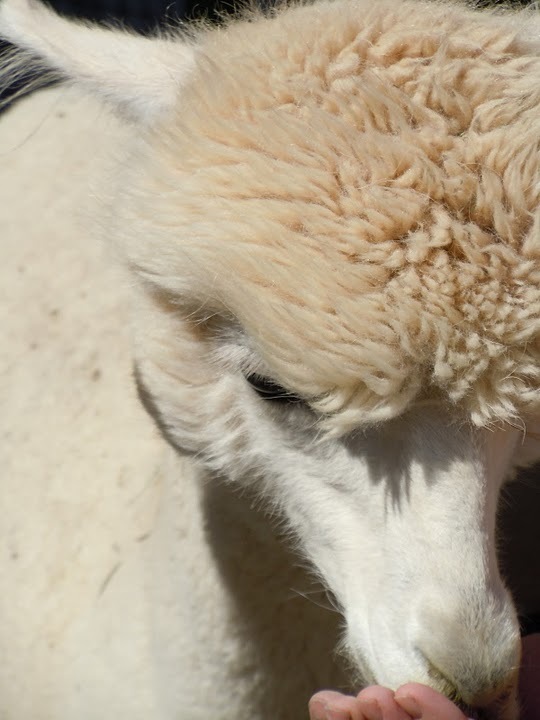 This entry was posted in animals and tagged alpacas, crumbles, herd dynamics, herds, treats. Bookmark the permalink. Sooooo sweet. I look forward to your posts. Thank you. I know, they melt your heart a little. I finally got a hold of Dad, so I actually have some pictures and stories to post again! It’s been a bit bare bones, and work is getting the better of me some mornings. I am anxious to hear about your work. They (?) are really lucky to have you. I look forward to seeing you next weekend. Try not to let anything get the better of you – you have so many talents.